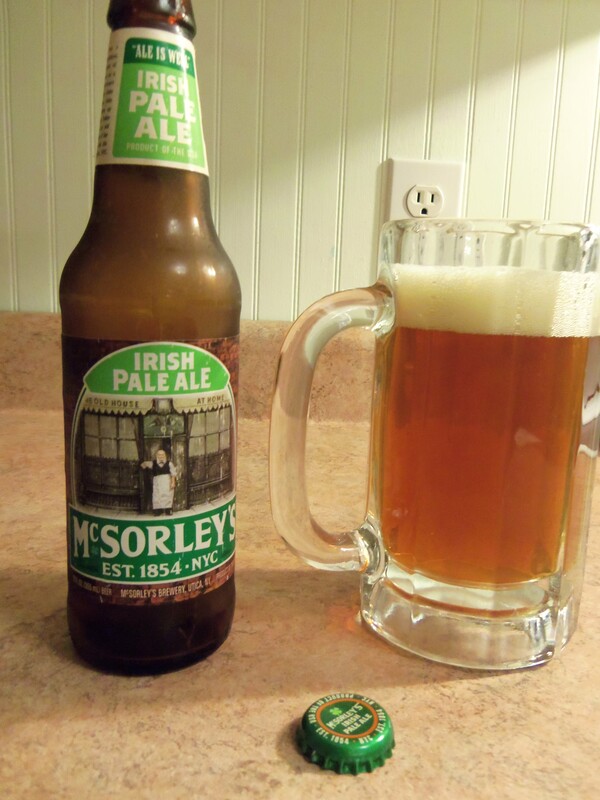 I’m significantly Irish, and I love pale ales. 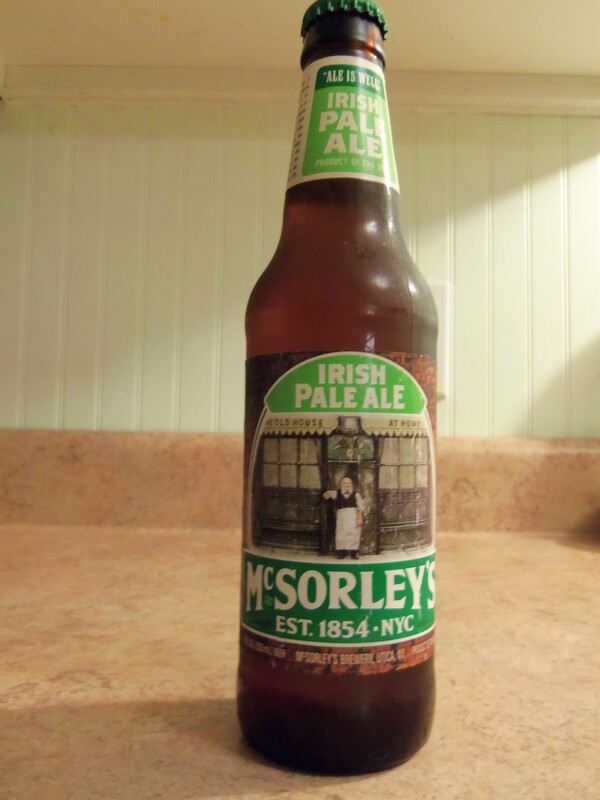 How could I not buy McSorley’s Irish Pale Ale? Immediately you notice a very rich amber color once it hits the glass, but there’s no fruity aroma or hoppy scents. How hoppy will this pale ale be? Do they have much hops in Ireland? Just as the aroma intimated, there’s no hoppiness. It’s a fairly smooth beer, but nothing particularly distinctive that makes you remark. That’s a well-balanced beer, with no hint of potato. We are crushing these fine Irish-style beers with some greasy pizza – what else would you each with a bunch of beer. Nice color, nice flavor, but nothing that will make you remember the beer. If you are interested in having some generic ale with a dearth of hops, then this is the beer for you. I’m comfortable taking this down since it is an easy drink with a nice ale finish that pairs well with a robust pizza, but don’t plan on buying it if your evening will be sitting back to relax and enjoy a sippin’ ale.